Harris’s father Donald Harris is Jamaican, and her mother Shyamala Gopalan Harris is Indian. Kamala made remarks about pot and her own use of the drug during an interview on the New York Breakfast Club radio show. The host told Harris some have claimed she opposes the legalization of pot. The host asked Harris if she had ever smoked it. Harris’s father was not pleased with his daughter’s remarks and issued a statement published on the Jamaica Global website. 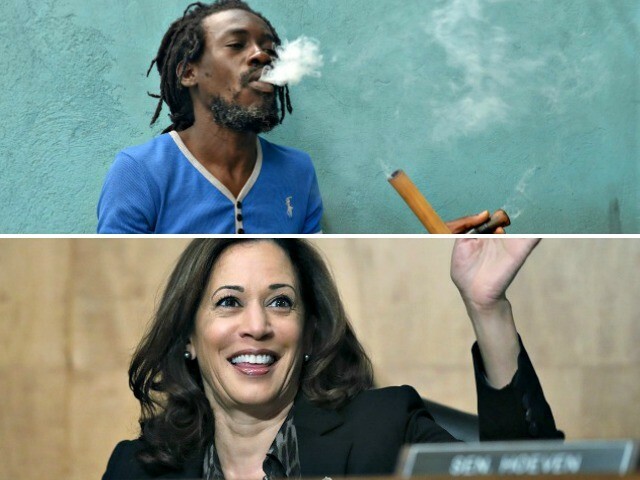 The 2020 presidential hopeful with a Jamaican heritage said she not only smoked but added “I inhale.” Perhaps said jokingly at first in the spirit of the interview, she proceeded to suggest that her Jamaican father’s side of the family would be disappointed in her if she did not support the legalization of marijuana. And that IS a serious statement. Now Harris’ father has come out vigorously dissociating himself from his daughter’s statement.